Take A Quick Test To Find Out! I read an article this morning in the Wall Street Journal about a web-based tool that calculates the biological age of your heart developed by Unilever. It's based on the Framingham Risk Score and uses standard risk factors for heart disease and stroke. I was very excited to take it (it took less than 2 minutes) because I've always suspected that my heart was younger than my 65 year chronological age. Every time I enter my age in my treadmill or exercise bike it sets a really low target heart rate for me. So when my heart rate barely starts to rise, it tells me it's too high when, in fact, I feel like I can push myself a lot harder. The first two questions asks for your age and gender. After inputting this, it immediately told me that the average woman my age has a heart that is biologically 7 years older than their chronological! So now I'm starting to sweat it. What if my heart is actually older than I am? Do I have a 72 year old heart? It goes on to ask about smoking, current medical conditions, and if your parents have ever had heart problems. Height, weight, and waist measurements are next. It then asks for total cholesterol and HDL cholesterol levels as well as your systolic blood pressure (the higher, top number). A few quick questions follow about blood pressure med's and whether or not you have diabetes. And then, voila- the results. My results were great! Although I'm a 65 year old female, my heart is only 46 versus the average woman my age whose heart is 72 years old. Next time I have to input my age in my exercise equipment, I will enter 46! My 55 year old husband took the test and has the heart of a 47 year old, despite his family history. His father had a major stroke at the young age of 49. 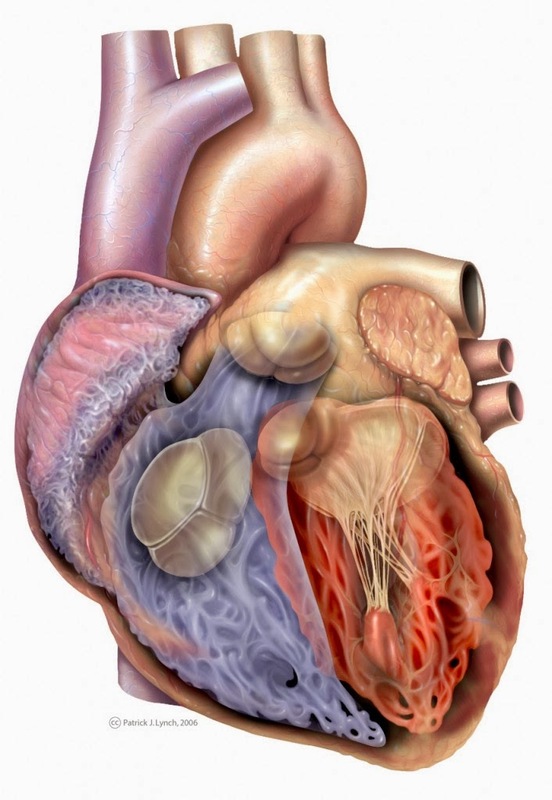 The average 55 year old male has a heart of a 62 year old. I can only assume that a plant-rich diet and lots of exercise has helped me have a heart that is 26 years younger than the average 65 year old woman and my husband to have a heart that is 15 years younger than the average 55 year old male, despite his family history. TAKE THE TEST to find out the age of your heart! More than 700,000 Americans have heart attacks each year and a quarter of all people in the U.S. die from heart disease. If your heart is older than you are, work with a good naturopath on a heart-healthy diet and exercise program. I dedicate my life to developing and sharing heart-healthy recipes on this blog and I hope you will make these for yourself and your family or share them with loved ones who need to improve their diet. For less than $10, you can download my eBook, Health Begins in the Kitchen, for 160 healthy vegan recipes, available on iTunes and Amazon. These recipes are the very ones we enjoy each day and you can see they have resulted in us having young and healthy hearts! There are several posts I have written that might help motivate you to "get moving." You can take the One Million Steps, One Hundred Days Challenge. Or, read Lose Weight, Get Fit and Increase Your Activity Level with a Pedometer. It's never too late to improve your health and lower the age of your heart so TAKE THE TEST and get started! You Could Be Deficient In Vitamin B12 ! $6 Billion of Nexium was sold in the U.S. last year. and other serious health issues. Gastroesophageal reflux disease, also known as GERD, is near and dear to my heart. Through the years I've had my own issues with reflux and heartburn. Luckily I was able to finally control it with diet and some natural remedies that I will discuss later. But before that, my gastroenterologist had me take acid suppressant medications. Acid suppressant medications are sometimes necessary but they are overprescribed and overused. Over 150 million prescriptions were written in 2012 plus many of these acid-suppressants are now sold over-the-counter and easier than ever to get. Unfortunately many of the people who take them continue to do so for an extended period of time. Proton-pump inhibitors, or PPI's, are among the highest selling drugs in the U.S. with nearly $10 billion dollars in sales. Nexium alone sold $6 billion in 2013. Remember the commercial, "ask your doctor about the purple pill"? I guess they did. Medications that reduce stomach acid are very effective and are useful in giving the body time to heal esophageal tissue that has been damaged by reflux or to treat ulcers. The problem is people don't want to get off them. But long-term use can have serious consequences. Here's why. Stomach acid kills bacteria and when acid is reduced, it does not. This could lead to quite a few problems. For example, when you lay down at night, stomach acid could travel up the esophagus and into your lungs. That stomach acid could harbor bacteria and, when it gets into your lungs, could cause aspiration pneumonia. There has also been a connection between Clostridium difficile (a life-threatening bacteria), and PPI's. If a person consumes food contaminated with C. difficile, a low-acid stomach may allow it to take hold versus a stomach with a pH of 4 or less. Stomach acid promotes the absorption of calcium. When stomach acid is reduced for a prolonged period of time, reduced calcium absorption could lead to osteoporosis and bone fractures. Research indicates a link between long-term use of PPI's and increased hip fractures. Stomach acid uncouples vitamin B12 from food. Without stomach acid, the body cannot absorb vitamin B12 which could lead to B12 deficiency. A recent study by Dr. Douglas A. Corley, published in The Journal of the American Medical Association, uncovered a serious problem for people taking PPI’s and H2RA’s for two years or longer. “People who are taking these medications are more likely than the average person to be vitamin B12 deficient." Although most people associate vitamin B12 deficiency with seniors, this study showed the strongest association in adults younger than age 30! The study also found a correlation between higher dosages and increased risk of B12 deficiency. Those taking an average of 1.5 PPI pills per day had almost double the risk of vitamin B12 deficiency compared to those averaging 0.75 pills per day. The average adult should get 2.4 micrograms per day. If you have been on acid suppressant drugs for an extended period of time and exhibit any of these symptoms, get a blood test to confirm deficiency. If deficient, you can correct it with shots or daily high-dosage B12 pills. If you do this in time, you can reverse your symptoms. If you do not do this in time, you may not be able to reverse nerve damage so DON'T PUT THIS OFF! Most importantly, work with a naturopath to determine the cause of your GERD. As an update to my post on Diet and Natural Remedies for GERD, Heartburn, and Indigestion, here's what eventually worked for me. First my naturopath tested my stomach acid level. It's a simple test you can do at home by taking an increasing amount of Betaine Hydrocloride pills (Betaine HCL) until you feel stomach pain. If you can tolerate a lot of these pills, you have low stomach acid and your stomach problems are from not having enough acid to properly digest food, which is often the case. If you cannot tolerate many of these pills, you are producing too much acid. That was my problem - I make too much acid. Do not do this test without the knowledge of your doctor. 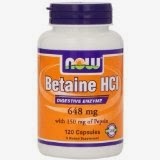 If your problem is too little stomach acid, your naturopath may recommend you take Betaine HCL with your high-protein meals. Since my GERD was not from low stomach acid, I had to go another route. When I had severe GERD, I temporarily eliminated or greatly reduced my trigger foods. I say temporarily because today I can enjoy most of these things in moderation although I certainly try to avoid eating all of them in the same day. My trigger foods are chocolate, spicy food, too much tomato sauce, too much caffeinated tea (green tea and Yerbe Mate), citrus fruits, peppermint, and alcohol. Trigger foods that I can never eat again include coffee and chamomile tea. 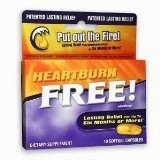 * Heartburn Free by Enzymatic Therapy. For a severe GERD attack, this is my go-to treatment. I take one pill every other day until I've finished 10 pills total over 20 days, while avoiding my trigger foods. This usually does the trick. Its key ingredient is orange peel extract, which sounds like it would actually give you heartburn but, in fact, it works really well for up to 6 months. 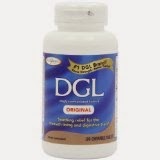 * DGL by Enzymatic Therapy. I occasionally take these before I eat something naughty or when I get symptoms. This is an extract of deglycrrhizinated licorice and is widely used in Europe. 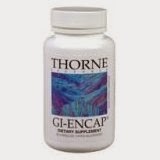 * GI-Encap by Thorne Research. I occasionally take these before I eat or when I get symptoms. This soothing botanical formula contains aloe vera, DGL, slippery elm bark, and marshmallow root. 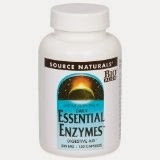 * Essential Enzymes by Source Naturals, taken before meals, helps me digest food. I only take these with heavier, cooked meals and don't need them at all when eating raw salads or fruits. In addition to enzymes, I take a daily probiotic. Besides digestion, probiotics help create and support healthy microbiota which helps countless issues. See my post on The Microbes Within: How they Shape our Lives and Influence our Health. The hardest thing about giving up these drugs is that pills like Nexium or Zantac work quickly and so darn well. Who wants to give up chocolate and alcohol, even for a few weeks or a month? But these pharmaceutical cures come at a great price - bone loss, potential irreversible nerve damage, infections, anemia, and all the things I mentioned above. So the effort is well worth it. It worked for me and I truly hope it can work for you. If you've enjoyed this article and are looking for ways to improve your health, download my eBook, Health Begins in the Kitchen, available on Amazon and iTunes. What's That Giant Yellow Thing In The Produce Department? Pomelo is a bit sweeter than grapefruit - delicious with avocado! For years I would walk past this giant yellow citrus in the grocery store, not really knowing what it was or what to do with it. But curiosity eventually overcame my reluctance and I brought one home. Pomelo, or citrus maxima, is native to Southeast Asia and tastes like a mild and sweeter grapefruit. It's dwarfs the size and price of a grapefruit. I paid $3.99 for a single organic pomelo in Whole Foods but it yielded over a pound of cleaned sections that are packed with vitamin C.
A pomelo (right) next to a very large grapefruit. This pomelo weighed 2.5 pounds before cleaning. I like to use everything I can on a pomelo so first I zest some of the skin. I use the zest in salad dressings and when baking muffins. I use my microplane zester to grate the pomelo. After getting enough zest, I use a potato peeler to remove some peel to use to flavor my water. Pomelo peel adds a delicious flavor to drinking water. To peel the pomelo, slice the top and bottom (enough to reach the top of the fruit.) Score the sides and peel off the thick skin. As you can see, the skin is quite thick. Tear apart the sections and peel off the membrane to expose the flesh of the pomelo. The membrane is quite tough and thick and not pleasant to eat. but the effort is well worth it. You can eat as is or toss in a fruit or green salad. I think it also screams "Italian Ice." I'll have to try that! Like grapefruit, pomelo pairs beautifully with avocado. Here's a salad I made with that in mind. Make the dressing by mixing all dressing ingredients thoroughly. Set aside. Toss the greens in a large bowl with enough dressing to coat, reserving some for the pomelo and avocado. Place in 4 individual salad bowls. Place the pomelo and avocado in the large bowl and gently toss with a small amount of dressing to coat. Place one forth of the pomelo and avocado in each salad bowl spreading them evenly over the greens. Top each salad with 1 tablespoon of walnut pieces and serve. Per serving of salad: 135 calories, 10 g total fat, 1 g saturated fat, 701 mg omega-3 and 3360 mg omega-6 fatty acids, 0 mg cholesterol, 3 g protein, 10 g carbohydrates, 4 g dietary fiber, and 23 mg sodium. Per tablespoon of dressing: 51 calories, 5 g total fat, 1 g saturated fat, 422 mg omega-3 and 1867 mg omega-6 fatty acids, 0 mg cholesterol, 0 g protein, 1 g carbohydrates, 0 g dietary fiber, and 117 mg sodium. Got Reservation For Valentines Day? Have an intimate dinner at home with your Valentine. Going to a restaurant on Valentine's Day is like going to church on Easter Sunday. Now I'm not saying you should stop going to church on Easter Sunday, but I do suggest you stay home this Friday. The restaurant will be mobbed and you'll be sitting elbow to elbow with a room full of strangers. And when you finally figure out how to focus real hard and filter out all the noise and distractions (so you can concentrate on your special someone), you will not-so-politely be given your check so that they can usher in the next seating. And let's talk about the food. It will most likely be a Prix Fixe menu which means that you will be given very little selection. How else will they be able to crank out meals as fast as Hostess cranks out Twinkies (yes, I know that Hostess no longer owns Twinkies and that they are now owned by two private equity firms - but you get the point.) Needless to say, the quality of the food will be well below what you normally would expect from your favorite restaurant. Don't expect the service to be great either. After all, your waiter would rather be spending the evening with someone special too. Have a romantic meal at home. If you both love to cook, take some of that cash you just saved and use it to buy a great bottle of wine or champagne. Or spend it on expensive ingredients that you normally wouldn't spring for - like exotic mushrooms, organic raspberries, or gourmet chocolate truffles. Get a heart-shaped cake pan for fun. You can use it to bake a cake, cornbread, or even a casserole. You'll pay 3 times as much for champagne in a restaurant on Valentine's day as you would at a store like Costco. Together, plan a nice menu of your favorite foods - try sticking to simple dishes like the pasta Puttanesca I posted last week, or make pesto early in the day and mix it with Farfalle Pasta and Garbanzo beans for a quick entree. My pesca-vegan and fish-loving friends might enjoy Baked Honey Mustard Coho Salmon with Saffron Rice. Now for those of you who cannot possibly create a romantic meal at home because of kids, roommates, or parents, or you just really would rather not fuss - here's another option. Schedule that romantic meal at your favorite restaurant on ANY night besides Valentines day. You can still get together on V-Day for a glass of wine, a movie, or whatever but make those dinner reservations on another day. For simple and delicious recipe ideas, download my eBook, Health Begins in the Kitchen. Bad Weather Getting You Down? Cooking Will Cheer You Up! I added chopped artichokes to this Puttanesca sauce. Many parts of the U.S. are covered with snow, others with ice. In California, we're finally getting the much needed rain and this weekend promises more of the same. Cold, rain, snow, and ice all have the same effect on me and many others - it makes us want to head to a nice warm kitchen and start cooking! And what's more comforting than pasta? This particular recipe can be made with ingredients from your pantry since you might not be able to get out of the house and shop for fresh veggies in a snow storm. Today's ingredients come out of the pantry. The name of this sauce is derived from the Italian word puttana which means whore. You may be wondering why this dish is named after a lady of the night. The explanation I've always heard is that it was such an easy dish to make, it was often made by prostitutes who didn't really have much time to cook - after all, time is money! There are several other explanations floating around but I'm sticking with this one. I also tossed in a can of artichokes just to add some more veggies to the dish. You can use artichoke bottoms or artichoke hearts as either would work fine. Artichoke hearts, however, contain more heart-healthy fiber. Meanwhile, make the sauce. Heat the oil in a 5-quart Dutch oven. Add the onions and cook on medium-low heat until soft and translucent, about 5 minutes. Add the garlic and cook until fragrant, about one minute. Add the artichokes, oregano, basil, and black pepper and stir for a minute until the artichokes are coated with the seasonings. Add the tomatoes, red pepper flakes, fresh parsley, olives, and capers, and simmer on low heat while the pasta cooks. Prepare the pasta according to directions. Drain, toss with the sauce and serve. Per serving (regular pasta and artichoke hearts, not bottoms): 422 calories, 9 g total fat, 1 g saturated fat, 90 mg omega-3 and 1,229 omega-6 fatty acids, 0 mg cholesterol, 14 g protein, 73 g carbohydrates, 7 g dietary fiber, and 655 mg sodium. Per serving (whole wheat pasta and artichoke hearts, not bottoms): 407 calories, 9 g total fat, 1 g saturated fat, 91 mg omega-3 and 1,220 omega-6 fatty acids, 0 mg cholesterol, 15 g protein, 73 g carbohydrates, 11 g dietary fiber, and 657 mg sodium. And Less Than 100 Calories Each! Simple, healthy and delicious vegan taco sliders. One of the most important things for me, when I'm entertaining, is to make recipes that are simple to prepare and serve and will appeal to the most people. So if you are looking for a delicious, healthy, and simple dish to serve at your Super Bowl Party, these vegan and gluten-free taco sliders are an excellent choice. Most of the ingredients for this dish are store bought, like the Tofutti sour cream, the shredded cabbage, the small corn tortillas, the canned black beans, and the salsa. Hopefully you can find all of these ingredients at your local super market. I hope you can find these wonderful tortillas. They are 4 1/2 inches wide - perfect for sliders. Organic means they are not GMO. And they are only 30 calories each! This ready-to-eat cabbage is very finely cut. Of course you can make your own. Fresh salsa is in the refrigerated section of your grocery store. I love to mix fruit and beans together to make a salsa or taco filling. I usually mix mango or peaches in with my black beans. But I was curious to see if a nice ripe pear would combine well and I was delighted with the results! I know you will be too. To make the slider filling, place the lime juice in a medium sized bowl. As soon as you peel and dice the pear, mix it with the lime juice so that it will not discolor. Do the same thing with the avocado. Add the red onion, cilantro, jalapeño, black beans, and salt to the bowl and gently toss until combined. Black bean and pear salsa with avocado and cilantro. To make the slider, heat the tortillas. You can do this in several ways. Wrap in a towel or a cotton tortilla holder and microwave for 20 seconds. You can also wrap in aluminum foil and heat in the oven, or heat each individually on a grill until warm and pliable, about 15 seconds a side. or to keep oven-heated or grilled tortillas warm. Place a warm tortilla on a plate and spread with a little sour cream, about 1/2 tablespoon. Top will a small amount of cabbage, about 1 tablespoon. It's important not to load down the slider so use small quantities of every ingredient. Spread sour cream and sprinkle with a little shredded cabbage. Place a small amount of the black bean and pear mixture over the cabbage. Top with some fresh tomato salsa (mild, medium, or hot) and serve with a good beer. For additional delicious and healthy recipe ideas, download my eBook, Health Begins in the Kitchen available on Amazon and iTunes. Per slider (without the tomato salsa): 98 calories, 3 g total fat, 1 g saturated fat, 0 mg cholesterol, 3 g protein, 16.5 g carbohydrates, 3 g dietary fiber, and 140 mg sodium. Got Reservation For Valentines Day? Cancel Them!